Great hair cuts can quickly change people’s outlook on life, brighten a day, or relieve a little bit of stress. Who doesn’t like feeling like a new person when they walk out of the salon? The right hair cut can change your whole perspective in the time it takes for our artists to work their magic. Every hair cut we give is tailored to the individual, taking into consideration hair texture, hair direction, face structure/shape, personal style and desired look to achieve a result most of our client’s didn’t even know was possible! What’s your perfect look? Our stylists stay up on the latest trends and styles allowing us the ability to achieve not just any look but the perfect look! The stylists at Rapunzel’s Salon and Spa offer the area’s best hair cut for any hair type. Whether you’re looking to go with a shortened look for summer like a short bob or pixie cut, or if you need to add a textured look to your long locks we know you’re going to leave our salon with the style of your dreams. Regardless of hair type our stylists will work with you to achieve that perfect look. Our hair stylists will consult with you to discuss what looks you like and give you feedback using their expertise on what can help you achieve that look not only when you leave the salon but in your daily life as well. They’ll give you tips on how to maintain the perfect look and what products you should use in your daily routine. Men’s hair cuts are NOT one size ﬁts all! Our stylists are trained to offer the best haircut and style based on a man’s facial features, hair growth, hair thickness, and many other factors that contribute to the overall look of a man’s style. 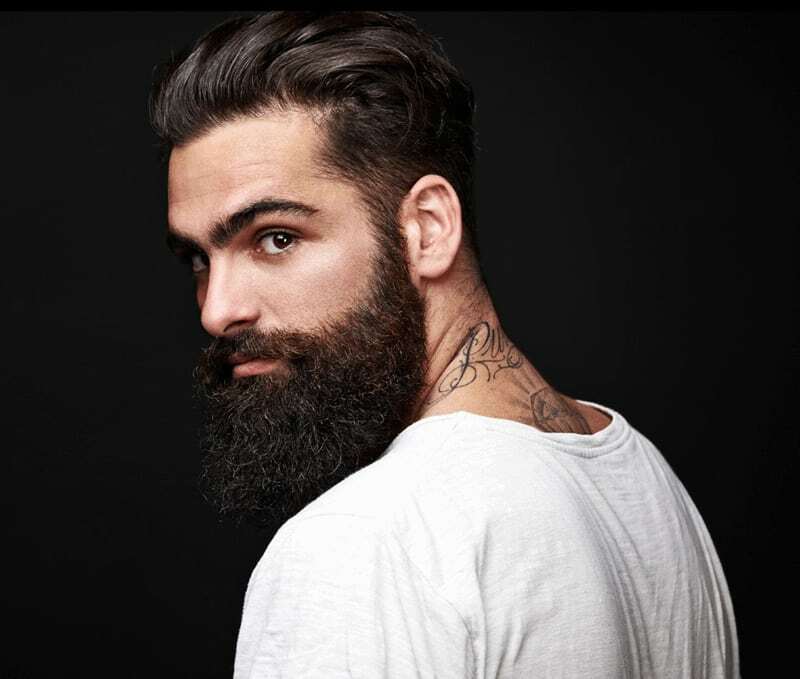 Unlike the typical barbershop, the hair stylists at Rapunzel’s are looking to push the limits of style to give you the perfect look and not just the latest shaved head or quaffed look that every other guy has.